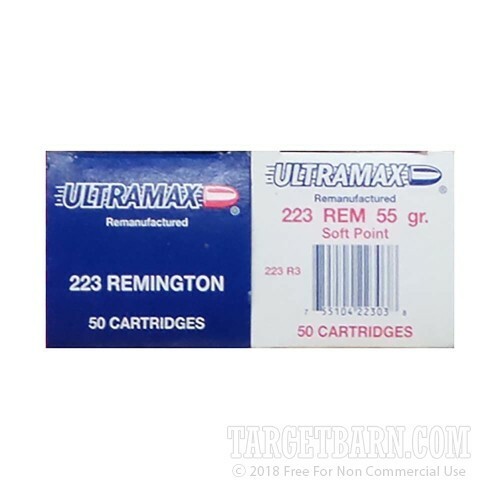 A suitable load for both hunting and target shooting, this .223 Remington ammo from Ultramax is a great way to decrease your AR-15's operating costs through the savings provided by reloading. This professionally remanufactured ammo is safe, accurate, and consistent in its performance. 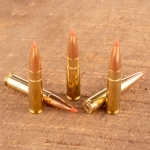 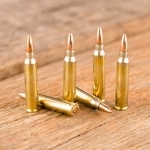 Each cartridge in this 50-round box fires a 55 grain soft point bullet at a muzzle velocity of 3,000 feet per second, producing devastating expansion against midsize game. 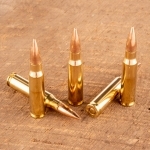 Ultramax ammo is made in Rapid City, South Dakota using non-corrosive primers. 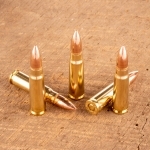 Their remanufactured loads use once-fired brass that has been cleaned and refilled with new components.